I’ve recently had the privilege of interviewing numerous Hogwarts is Here users, new and old. I asked them a series of questions, ranging from when they joined the website to the impossible to answer question of who their favorite Harry Potter character is. I enjoyed the process of reading so many great answers and am thankful for the overwhelming response I’ve received. Without further ado, I present to you the questions and answers. 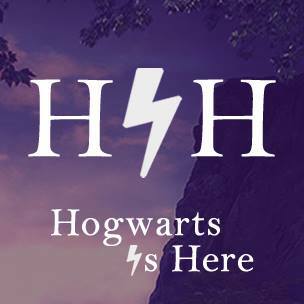 When did you first join Hogwarts is Here? How did you first hear about Hogwarts is Here? Have you taken any courses on the website yet? If so, which one is your favorite so far? If not, which courses are you most excited for? Is there anything you would like to see added to the website that isn’t already? What part of the website appeals to you the most? If you have to pick only one, who is your favorite Harry Potter character? I would like to give a big thanks to the people who contributed their time and answers to this interview and were wonderful throughout the process. A very special thanks to Owen Hastings, Caitlin Fox, Claire Peters, Hermione G., Rose Wesley, Leena O'Hare, Dani, Aida, Rhiannon Fleetwood, Lurkelly Leikez, Bush Baby, and Naomi Rivers for their contribution to this article. This article would not exist without their answers.